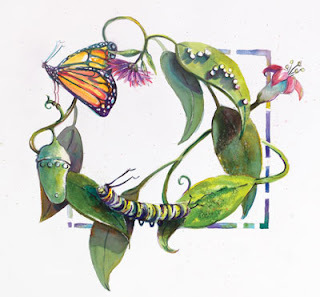 In Term One we are learning about Life Cycles. In our class we had tadpoles, that are now frogs. We also have swan plants with Catepillars, which will turn into Monarch butterflies. We have been planting seeds to learn about the life cycle of plants. Here are some pictures of Poe, Levi, Cyrus and Sauioge replanting seedlings into old coke bottles. You can see we have been using old plastic pop as larger planters for our veggies. Here is a picture of the pea seedling that we have replanted into reused plastic bottles. One of the reasons we used clear plastic bottles is so that we can see the roots of the plants. Below we are planting new seeds, which will grow into seedlings. Check out our biggest and fattest caterpillar! We have a video of our caterpillar farm on our four swan plants. 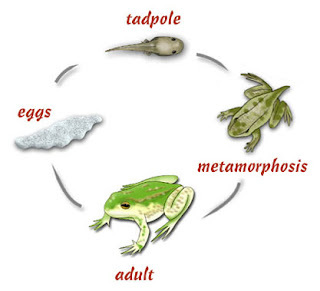 This is a frog life cycle! In our class we have tadpoles and frogs and they eat fruit flys! W.A.L.T to write a recount of our trip to the Auckland botanical gardens. This is the green house we built using recycled plastic cola bottles. First we measure the length of the wood we needed 1m x 1m, and width and height 50 cm x 50 cm. We got the wood cut at a lumber yard and nailed it into 4 frames. Then we stapled poly onto one side of all four frames. Then we took pop bottles and cut out the middle flat part and nailed them onto the frames, overlapping each other. Below is the almost finished green house! The green house will have a layer of plastic pop bottles and one of poly. This will trap the heat between the poly and plastic and hopefully we can grow, seeds, cutting and plants all year.